Many OFWs often go home without savings after years of working abroad. The problem is that, they send all their money to their family and leave very little to themselves without allocating anything for savings. Some of them live lavishly, buying gadgets, branded clothes which they think they deserve after a period of tiring work. There is nothing wrong with it but if you want to have savings that you may use when you finally decide to come home for good, you need to some do little sacrifices. If you are living outside a company accomodation, you need to determine the cost of your housing. Is is bearable or at least your salary can hadle it? If not then you need to take action. Buy only the things you need and not just because its on sale. It is better to assign a certain amount for food budget. Buying used things doesn't make you less a human and buying brand new items doesn't make you richer. Being practical by buying what you need and not what you want or just to have something to flash on your colleagues. Using credit card make you spend more. It is better to use cash . refrain from using credit cards to avoid being a slave of this tiny plastic thing. Do not think that you are deprived while saving. you have to show determination if you want to save. It will make you more wiser and responsible. When the time comes, you'll enjoy the fruit of your sacrifice. Eat well when it's time to eat and avoid eating outside . Plan your meals and stick to your allocated food budget. By doing this, you'll save more money than you can imagine. There are many ways to earn money online and it could be a side business. You can sytart a blog or a youtube channel which you can monetize to earn extra income. When changing jobs, find a job which you can do best and when doing so, do not settle to the salary which is similar or lower than your previous income. Study and upgrade your skills whenever you can and raise your market value. Use jars to put all those pennies which remain after any purchase. These penny can make a jar full of money one day. It is the most frequent way of saving money. Kids, elders all use these jars way to save money. And it can give go 45% of your income. It is a business or services that you can do on your free time. It includes different things like babysitting, walking dogs and reading for others etc. Not all companies allow this kind of side line but if your company do not mind you having a side hustle, you can earn extra money out of it. Don`t get yourself jealous of people. They always spend extras on them because they wanted to look and get thing better than others without keeping it mind that it is nothing but just a waste of money. You should set your priorities first if you want to save money. That in which work or thing you have to save how much because you can never save so much from a small salary. So keep 20% aside from things of interest 10% aside from your diet and 30% aside of your extra needs. In this way you can save 30% of your low income. After purchasing any new equipment or vehicle if it became useless or broken due to any accident, do not be ashamed of asking them to refund it, it can also save money in form of saving. It is legal and companies allow it. A financial coach could be a friend or anyone who succeeded in taming their spending "monster" within. It can be a tricky way of become a rich man. This the way of making yourself successful after your retirement. 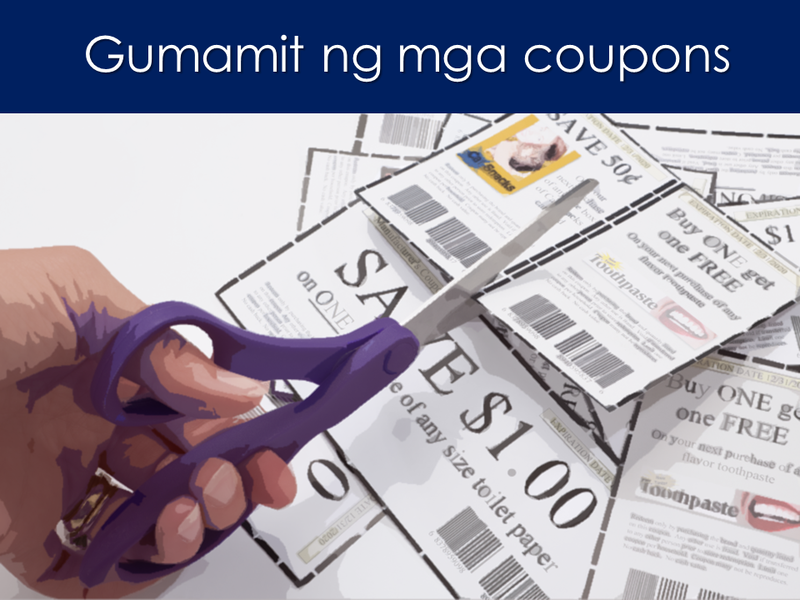 Use of coupon can save a very huge amount of money. you can find these coupons on magazines, calendars and other store promo materials. use them because they are made to be used and help you save for yourself and your family. Save the money to a separate account from where you send your remittances and discipline yourself not to take from this savings. Saving lies on your self-discipline and honesty. No tips would work if you will be the one who will break the rules.